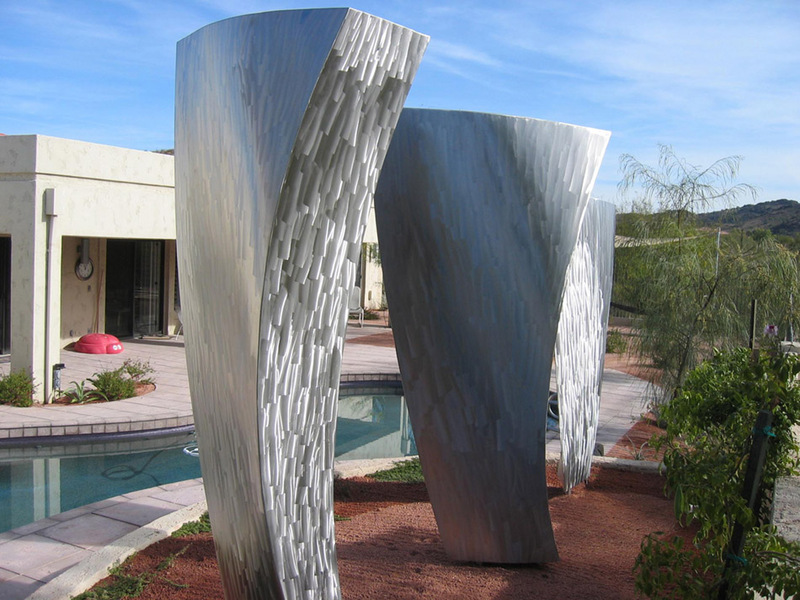 This kinetic sculpture rotates back and forth by the gentle force of the desert air. With a spectacular backdrop of the Phoenix Mountain Preserve, mountain bikers and hikers observe a continuously changing display of reflective light and form. 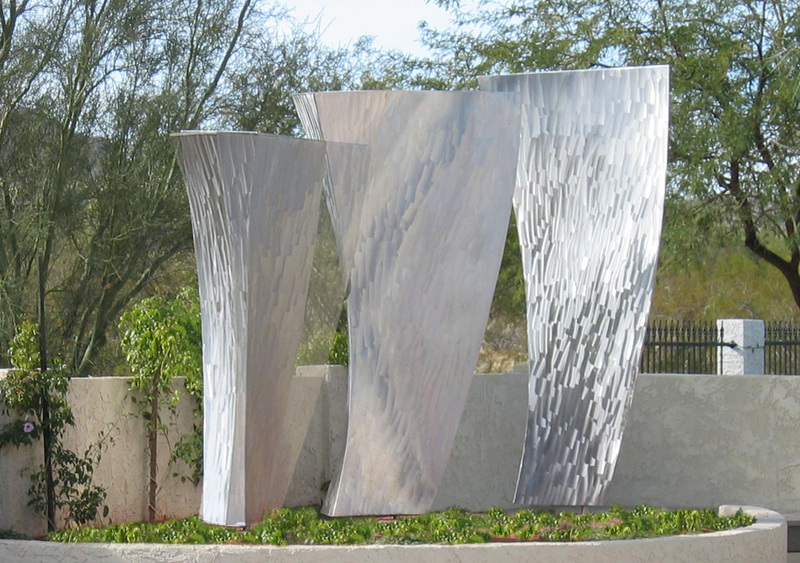 Created for private residence in Phoenix, Arizona.